Since the dawn of ages, fashion and music have come hand in hand to bring us bountiful glories in style inspirations. Every year, as if an alien spaceship beamed down to grant Homo sapiens this melodic experience, we follow the music as insects mesmerized by light. The only difference, we are wearing the greatest in spring collections. Load up that Cadillac, put your seat belt on you are in for a wild ride. 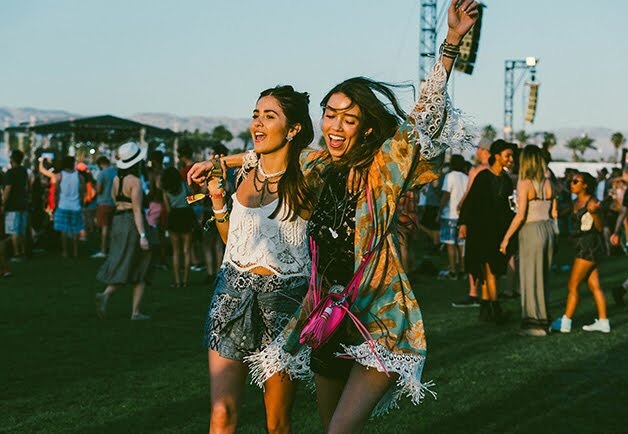 Coachella 2015 double time both weekend recap. We started out the trip with a few realistic goals. One of which was a quest for dragons. After driving around in the hot desert, we stumbled upon some real magic. Now, we were off to our hotel at the Ace Hotel Palm Springs for some pool time and parties before the festival. Paola Alberdi and I had so much fun! With Designer Mara Hoffman at the PopSugar Event at Coachella, actress Jamie Chung on photobomb. Photo: Craig Arend for Harper’s Bazaar. Off to the festival for some dancing! Great Job to the German Clemans and Phil for killing it at Coachella AKA Milky Chance. Went to check out the Pandora event at Parker and got to see Nanette Lepore’s new collection. Coachella Thanks so much for the good times and amazing tunes! Thanks so much for all the brands that made this adventure possible Joes Jeans, Vans, The Kooples, Rebecca Minkoff, Miguelina, My Jewelry Bar, Bollare, Kari Feinstein PR, Azione PR, Wetherly Group, and The Ace Hotel. I’ll be doing another post on my favorite artists at Coachella for the music section of the blog, stay tuned for that. Meanwhile, check out my snap chat collection of videos I made from both weekends. Follow my snapchat/ twitter Thania Peck.